Why Use a Professional Mover? You have worked hard for your goods and possessions. With over 800 moving and storage companies to choose from in Florida alone, you face a tough decision in finding the right mover to fit your needs. There is a lot more to consider than just the lowest bid. The cheapest isn’t always the best. The PMAF has worked closely with the Florida Legislature to enact a regulatory program within the state that ensures that reasonable protections are in place to protect moving consumers without significantly increasing the cost of your move. PMAF member movers have agreed to abide by these laws through acceptance of the association Code of Ethics. The following three insurance coverages are carried by all Professional Movers carry are critical to your basic security for your move. All professional movers will provide copies of their Certificates of Insurance showing coverage by a competent insurance carrier that’s rated A- or better. 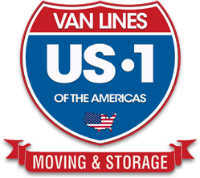 You, as a buyer of moving services, need to know the type and extent of liability coverage your mover carries. Inadequate or no liability coverage carried by non-professional movers could subject you to expensive property damage repair costs. Florida law requires that movers maintain basic cargo coverage and notify you of the terms of coverage on your contract. The mover can limit their liability to $.60 per pound, per article; however, you may want to ask about additional valuation coverage available for purchase. Unscrupulous movers lacking Basic Cargo Insurance can leave you vulnerable when property of monetary or personal (nostalgic) value is damaged or lost during transportation, loading or unloading. Unscrupulous movers also may use substandard equipment or own no trucks of their own, using only rented trucks. Such movers, who invest very little in their business, don’t deserve yours—they often don’t have sufficient assets to make good on claims. Customers should be cautious to avoid movers who fail to cover their own employees for Workers’ Compensation. Such movers try to avoid taxes by paying employees under the table in cash. An unscrupulous mover with inadequate or no coverage poses a serious risk to you, since you could be held liable for injuries to the movers’ workers. Unscrupulous movers put unwary customers at risk. Why use a professional mover? To put it simply, because you deserve a simple and easy moving experience so you can spend less time worrying, and more time looking forward to your new home. Should you choose a non-professional mover, you run the risk of an inexperienced team who may lack the necessary resources, and may make your moving process a stressful ordeal. Choose a professional mover today to ensure that your move is completed with the ease and skill that only professional movers are able to provide. To ensure that moving customers know exactly what they should expect from their move, the PMAF has created a Consumer Handbook entitled "Making the Right Move." The Federal Motor Carrier Safety Administration also offers a Consumer Rights and Responsibilities Handbook to help consumers understand the things they need to know before signing a moving contract.